Come enjoy an authentic horse drawn sleigh ride pulled by our beautiful Belgian horses. 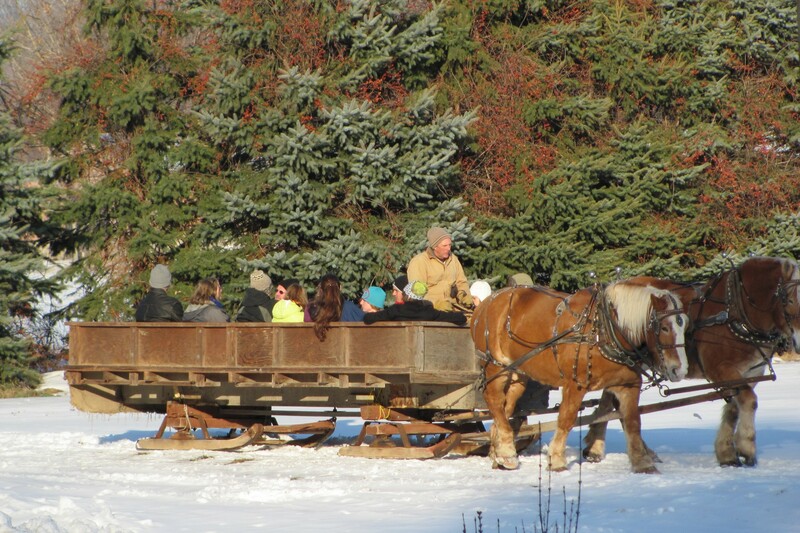 The sleigh ride takes you through the snow covered fields and forest of our farm for thirty minutes. 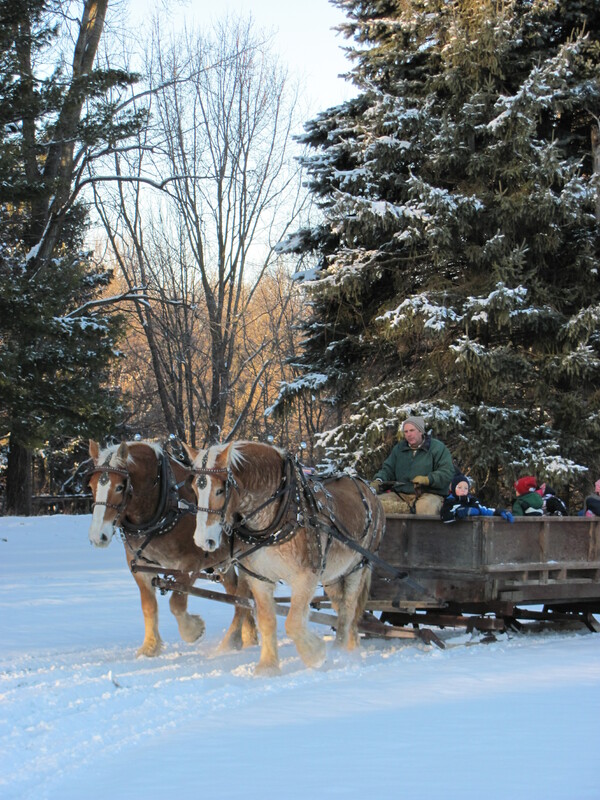 Included in the price of a sleigh ride is a trip through the hay maze, as well as feeding the sheep and goats. For your convenience, we offer the use of both a small and a large sleigh, which hold approximately eight and twenty-five people respectively. In addition, if there is no snow we offer a horse drawn hayride. 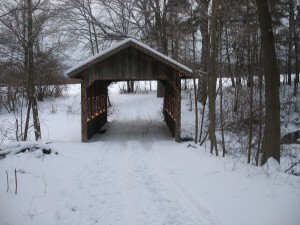 We have a building with a fireplace and ping-pong table which can be rented for your get-togethers. Please note: No alcohol allowed.